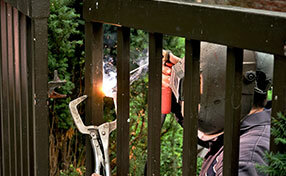 A residential gate repair company should be versatile. It should set new standards for the quality of work expected from a company who provides gate services. 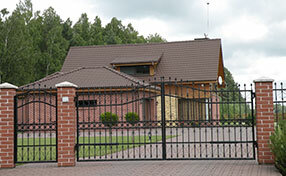 You deserve a gate company like that to take care of all your residential gate related needs. There is such a company that meets all of those requirements, and that one company is Gate Repair Santa Clarita. 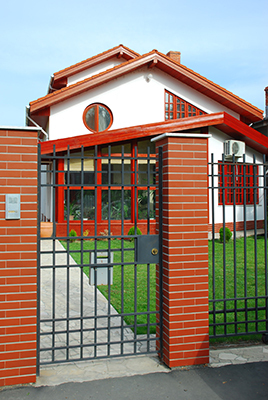 We are the residential gate specialists with a desire to provide a simple and affordable solution for anyone that requires professional residential gate services. We work very hard to keep up our solid respectable reputation in the community, and we even go as far as providing emergency 24/7 gate services so that no matter what hour your need arises; we can be there to help. In addition, we offer same day service so you don’t have to wait. Santa Clarita Gate Repair is a licensed, bonded and insured gate company that can be trusted for excellence day in and day out. It is our job to ensure that the electric gates of our customers are in perfect condition and operate without a glitch. For this, we provide a full array of professional services to these automatic systems. Our gate repair services cover absolutely all system components from the structural ones to the mechanical and electric ones. Whether there is a damaged panel, malfunctioning chain or stuck opener, our crew will come and fix it completely. Our technicians are professionally trained, experienced and dexterous. Count on us to provide emergency solutions as well as scheduled repair. Our gate installation services are also comprehensive, effective and fast. Our specialist maintenance service covers systems of all ages. With proper care provided by us, the risk of issues is reduced to the possible minimum. If a premade design of gate isn’t what you are looking for there’s no need to worry. Our gate contractors work closely together and create customized gates for our customers who desire them. They can be of any opening mechanism you wish, and designed to your specific desires. Our Residential Gate Company in Santa Clarita has everything it takes to install your customized gate today! Now behind every great gate is the engine that provides the power for allowing the opening and closing of the door. The gate opener is the power that pushes, swings, pulls, or slides your gate open and closed. Our gate contractors can professionally install any type of residential gate openers to meet your needs, as well as perform repairs and maintenance on your existing gate openers. 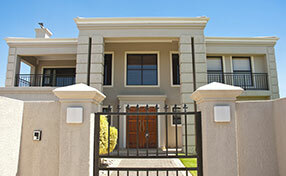 Our expert gate technicians can do it all when it comes to residential gate services.